Aggressive Medical Microdermabrasion, is a procedure which "blasts" tiny crystal shards across the face, while simultaneous suction removes the crystals and debris from the surface of the skin. This is followed by Surgical Acne Extractions, where the providers go deep into pores to remove blockages and sebaceous material. The procedure has minimal discomfort, and there is no "down time" required; patients can go right back to work. Often patients will opt for Microdermabrasion prior to television or public appearances, before weddings or big events. 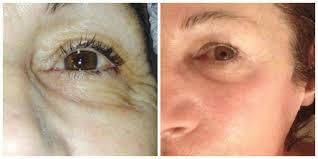 Microdermabrasion often leaves the patient with a very "glowing", "sun-kissed" appearance. 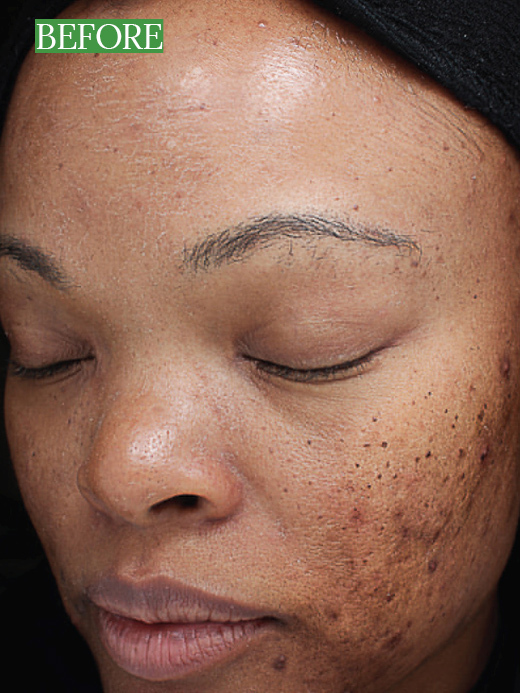 Medical Microdermabrasion, in conjunction with Surgical Acne Extractions, is a very common bi-weekly or monthly procedure for many of our patients. Many of our pregnant patients rely on our compounded Acne controlling (and baby safe) Nutrient/Vitamin Serums and Aggressive Medical Microdermabrasion and Surgical Acne Extractions to control their pregnancy induced Acne. Magnetic Infusion Technology is used to convert magnetic pulses into an active energy field that creates light or electrical current. This magnetic field is partially converted to Microcurrent, Red LED, Blue LED, or Magnetic Pulse technologies using different technology heads, and in tandem with the serum-infused treatment capsules, micro currents penetrate and infuse the active serums directly into the skin. This unique combination of Magnetic Infusion technology along with patient-specific serum infusion treatments, really delivers unparalleled results for all skin types and concerns. Many patient see immediate results after just one treatment. We can use this fantastic treatment to "infuse" many types of medicinal concentrations and serums directly into the skin and scalp. We use several types of Chemical peels. We use Trichloracetic acid or TCA peels in varying percentages and we also use Glycolic Acid peels. VI Peel®, is our deepest, most aggressive chemical peel. BOTOX® Cosmetic is a prescription medicine that is injected into facial muscles and used to improve the look of moderate to severe frown lines between the eyebrows, around the eyes and the forehead (upper face). Dr. Jing Jing will first conduct a detailed evaluation of your present skin condition and your specific complaints. She will determine the proper amount of Botox® adequate to rejuvenate your forehead, "crow’s feet" (lateral eye wrinkles), "11s" (wrinkles between eye brows), and to brighten your eyes (under eye wrinkles). BOTOX® is recommended for patients between the ages of 18 to 65 years of age and inhibits the movement of treated areas for a temporary period of time, usually 3-6 months depending on individual. Botox® can also be used, in certain cases, to correct “smokers lines” around the mouth, a “gummy smile”, excessive sweating of the forehead or anterior hair line. We use dermal fillers for areas of the face such as the Nasolabial folds (laugh lines), Lips, Malar area (cheek bone area), Tear-Trough area, Nasal bridge (Liquid Nasal Augmentation/”Liquid Nose Job”), Chin clefts or other chin wrinkles, and other deeper wrinkles of the face. After a thorough consultation and based on your skin type, age group, underlying skin condition and health, and facial shape and structure, our team will recommend the best type of filler to achieve optimal effects. This Beauty here had Restylane Filler applied to her "tear trough" areas. We offer several types of dermal fillers such as Restylane®, Radiesse®, Voluma®, and Bellafill®. This Beauty had some Lip filler done to achieve a more "pouty" but "natural" lip for her wedding. Our goal is NATURAL enhancements. Remember, every face is our BILLBOARD! This is our most sought-after treatment for ACNE SCARRING and HAIR LOSS. It is also very popular for mature patients who want a more youthful face but aren’t ready to seek injectable dermal fillers at this time. Collagen Induction Therapy can be used on many areas of the body to treat scarring (Acne scarring, Enlarged pores or other dermal scars), loose skin, stretch marks (breasts, upper arms, thighs, abdomen), skin discoloration, and even HAIR LOSS. Many aesthetic clinics will offer Collagen Induction Therapy and offer PRP (add link to PRP) as an add on service for an additional fee. We feel SO confident about the benefits of PRP therapy, in particular in conjunction with CIT, that here at Pretty Faces Atlanta, we do not charge any addition fee for PRP. Your PRP treatment is INCLUDED in your Collagen Induction Therapy service. We use both hand-held tools such as Dermaroller® or Dermastamp®, and we also use Fractional RF Microneedling. After a detailed consultation, Our Team will determine the optimal modality to achieve your best results. Please call our office at 678-650-2009 to book your consultation today! We look forward to seeing you soon. What is PRP (Platelet- Rich Plasma)? Platelet-rich plasma, or PRP, is an injectable substance known to promote healing. Plasma is a component of your blood. Aside from supplying proteins involved in blood clotting, Plasma also contains special “growth-factors” and protein precursors that support cell growth. Physicians and Medical Researchers produce PRP by isolating plasma from blood and concentrating it. By injecting PRP (concentrated tissue growth factors) into damaged tissues your body will be stimulated to grow new, healthy cells which promotes increased cellular growth, regeneration, and quicker healing. Hair loss: Specialists inject (via Syringe or Collagen Induction Therapy/Dermaroller/Dermastamp) PRP into the scalp to promote hair growth and prevent hair loss. PRP can be helpful in treating many types of Hair loss including hair loss resulting from Tension, Inflammation, and Chemical damage, AND, according to recent research, PRP injections are very effective in treating androgenic alopecia, which is also known as male pattern baldness. 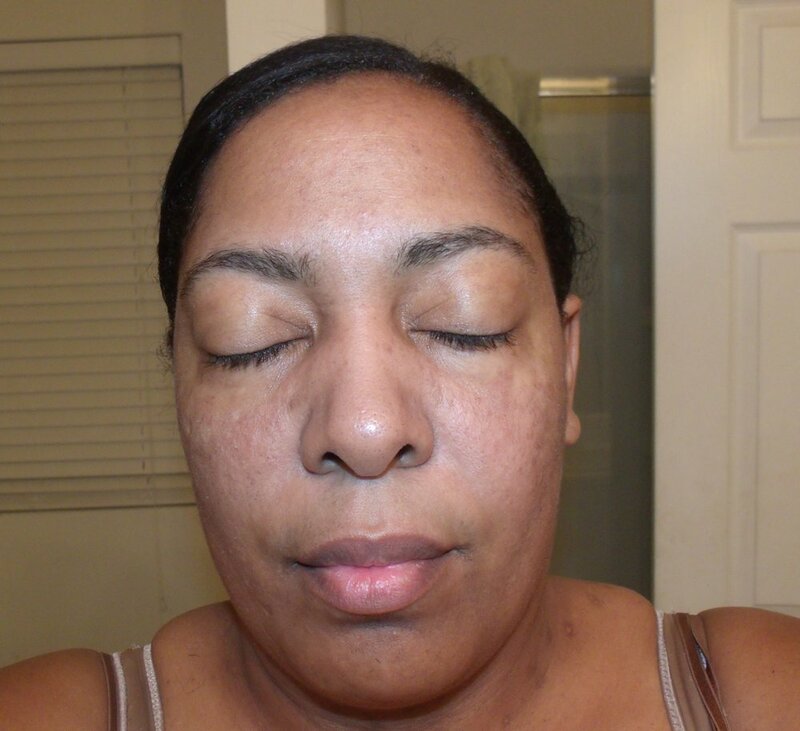 Acne Scarring/ Scarring from Burns, Keloids, Friction or Abrasion, Post-Surgical healing, Post procedure healing etc: Physicians often PRP in conjunction with invasive procedures and treatments (Collagen Induction Therapy/Dermaroller/Dermastamp) or after surgery (Torn ear lobe revision) to promote increased skin/cellular growth, more organized tissue growth (avoid disorganized scarring), collagen regeneration and faster healing. Tendon injuries/Soft Tissue Acute injuries/Arthritis: Tendons are tough, thick bands of tissue that connect muscle to bone. They are usually slow to heal after injury. Most commonly Sports Medicine Specialists or Orthopedic Doctors have used PRP injections to treat tendon injuries and chronic tendon problems, such as tennis elbow, Achilles tendonitis, Jumper’s knee (pain in the patellar tendon in the knee.) Doctors also use PRP injections to treat acute sports injuries, such as pulled hamstring muscles or knee sprains. Physicians are also injecting PRP into the knees of people with osteoarthritis. A 2015 study found that PRP injections were more effective than hyaluronic acid injections (a traditional therapy) for treating osteoarthritis. Tiger Woods and tennis star Rafael Nadal have been known to use these injections to help heal sports injuries. PRP is autologous, which means it contains substances that come directly from your own body. This reduces the risks for an allergic reaction that can occur from injecting other medications, such as cortisone or hyaluronic acid. In other words, your body won’t reject PRP because it’s withdrawn and concentrated from your own blood. There is “0” risk of allergic reaction to PRP. 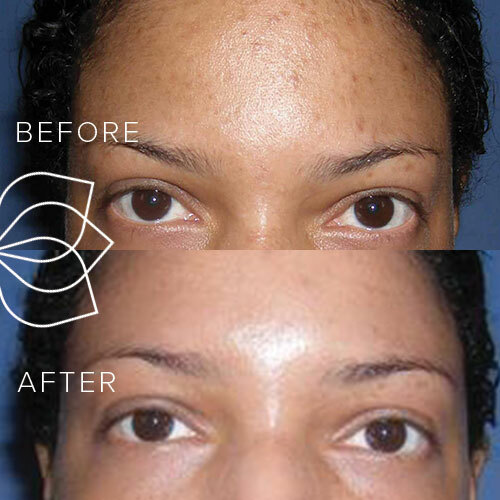 At Pretty Faces Atlanta, we use Protein Rich Plasma (PRP) to treat Hair Loss and Acne Scarring SPECIFICALLY! Prepared PRP is either directly injected into affected areas of the scalp or, more commonly, PRP is included in our Collagen Induction Therapy Treatments as part of the combination of ideal growth factors and pharmaceuticals “tilled” into the skin and scalp. If you are interested in aggressive treatments to address Acne Scarring, Thinning Hair or Hair Loss, or other dermal issues, please call 678-650-2009 to book your consultation appointment with our team today! What is Kybella® and how does it compare to liposuction? Kybella® contains deoxycholic acid, a fat-dissolving, naturally occurring bile acid. It is injected in the office. Treatments takes about a half hour. It is FDA approved to treat fat under the chin. Kybella® can also be used to dissolve fat in other areas such as under the arms, "bra rolls", flanks/saddlebags, inner thighs, and abdomen. According to Realself.com, 90% of people who have had it done say it was worth it! Fat cells are destroyed and can only return if you gain weight. Most small, localized, fatty areas can be treated. Kybella® can be used to touch-up irregular liposuction results. Kybella® can be used in conjunction with liposuction or laser lipolysis to achieve more specific or contoured results. Large areas cannot be treated at one time with Kybella®. 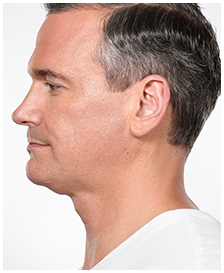 Kybella® treatments can be done using only topical anesthesia. 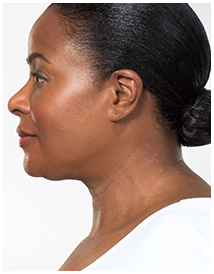 Kybella® is an excellent, easy, fast, and effective treatment for localized areas of fat AND there is minimal recovery time. Vazer® Liposuction, or laser lipolysis, can be a better choice if there are multiple areas to be treated, larger areas of fat, to harvest material for fat transfer, or for more specific body contouring and sculpting. After a thorough consultation, we can best determine which method, Kybella®, Vaser® Liposuction, or Laser Lipolysis, is best for your problem area. Please call our office at 678-650-2009. We hope to see you soon. Mole removal is a simple, quick, lunch time procedure that can have a significant impact. We also removes skin tags and other benign lesions of the skin. We also treats traditional "warts" and other Condyloma of the skin with topical medications, cryo-therapy or excision. Excessive unwanted hair growth of the face and neck can be treated! 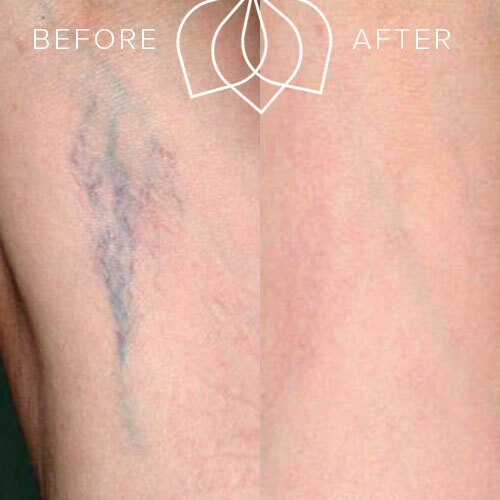 We treat facial veins (telangectasias) with our Picasso V RF®. The process is nearly painless and very quick. Most treatments are completed well within a lunch hour. Spider veins and small varicose veins of the legs and body can be treated with our 1064 Varia® YAG Laser.